Sometimes Christmas tradition needs a shake-up. Here are the best yule logs available in Paris this Christmas. You've sourced the oysters, foie gras and champagne but have yet to find the pièce de résistance - a classic bûche de Noël; light sponge cake iced with buttercream, decorated with plastic reindeer, fir trees and fake snow. 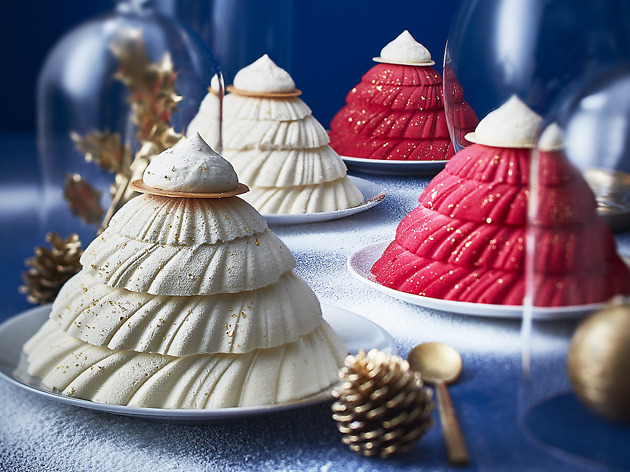 But if you want to stick two fingers up at tradition, get your paws on one of these eye-popping bûches de Noël. Yule be the most popular person at the dinner table. Senoble, has created a series of sweet treats for the holiday season. 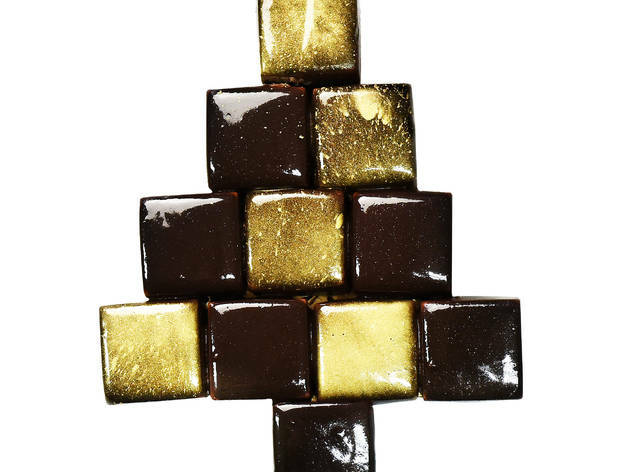 The Christmas crown are a fresher take on logs, an individual portion of Bourbon vanilla and golden caramel. How much? €36, for 6 people. Order in shop or online. 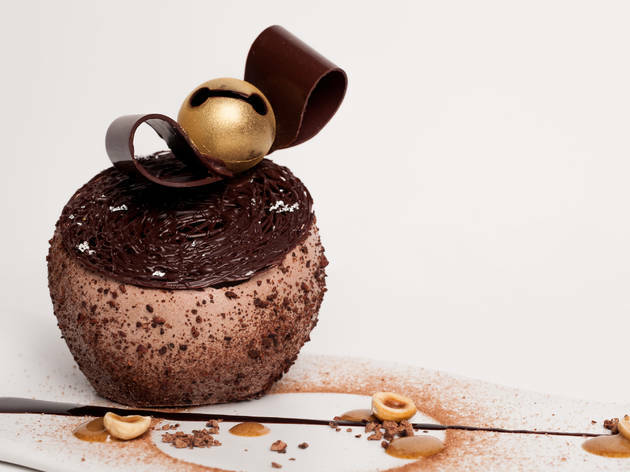 Buddha-Bar Hotel Paris will be luring in festive chocolate fans with their Christmas ball. 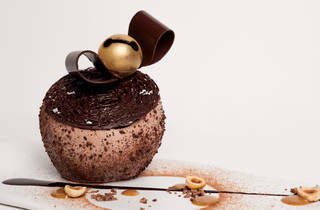 An indulgent individual portion, the Boule de Noel is a creation of black Kalapaia chocolate, with notes of fruit and grilled coffee beans. 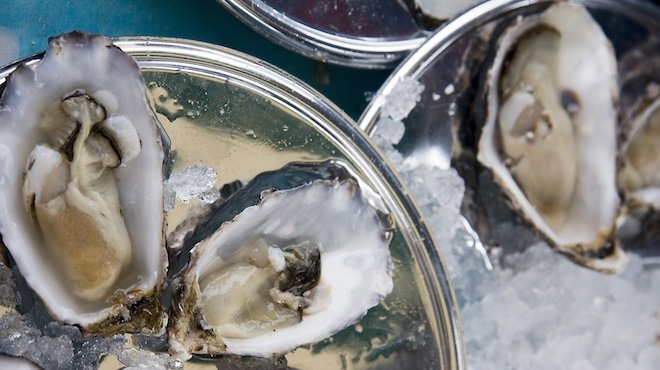 Perfect with a glass of champagne. How much? 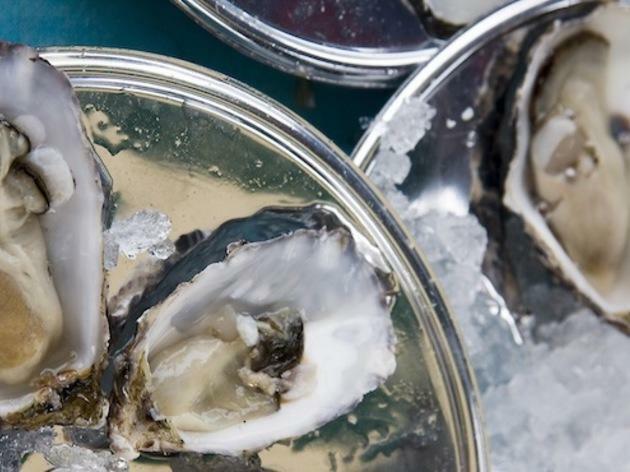 €16, per person. Available from 1-31 December 2017 at Vraymonde restaurant. Géronimi, specialising in luxury ice creams, has created a non-chocolate option for the Christmas log season. A fragrant tea ice cream flavour with notes of black tea and violet ice cream. How much? €100, for 8-10 people. Available from December 5, 2017. 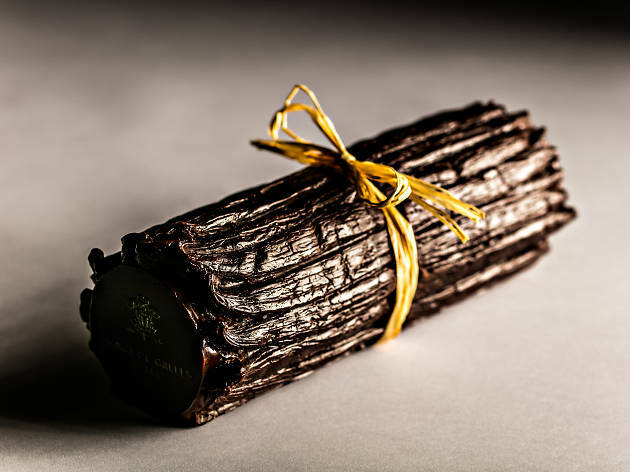 Head pâtissier du Burgundy Paris, Pascal Hainigue, has unveiled a modern christmas log for his first year at the restaurant. 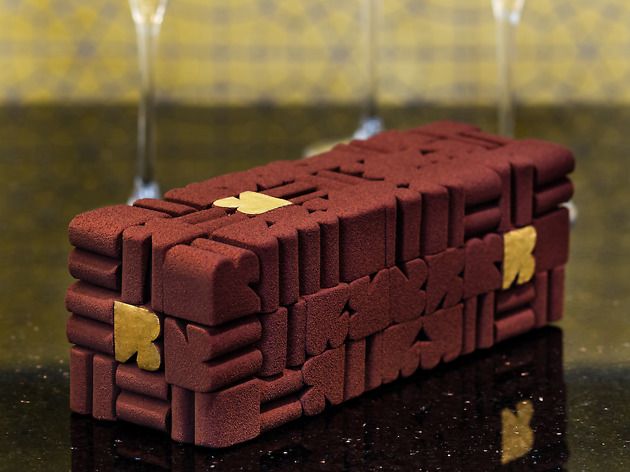 A 3D design, this trompe-a-l'oiel design is an expolsive combination of yuzu, praline and chocolate. A feast for the tastebuds and the eyes. How much? €80, for 8 people. Order instore from December 1, 2017. Available from December 15-26 from Bar Le Baudelaire. Forgot to order your christmas log? Frichti to the rescue, with their pixel-based offering which can arrive in minutes. Pre-cut for ease of sharing, dig into the shortbread base covered with a light chocolate mousse and a crunchy praline centre. The star of impromptu Christmas parties. How much? €29, for 6 people. Available from end of November until December 31 2017, via the Frichti app. 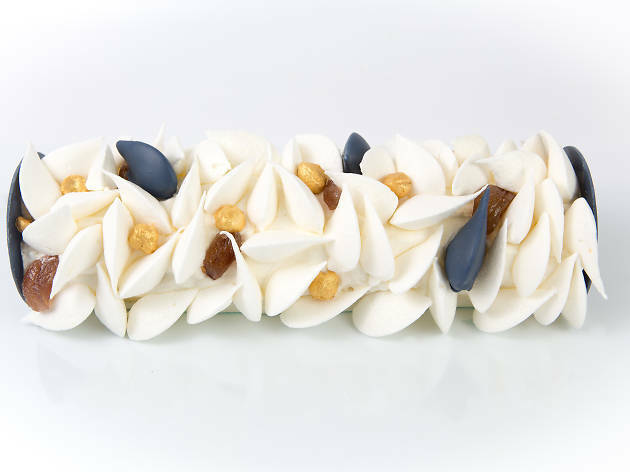 Nicolas Haelewyn, head pâtissier from the indulgent café Karamel Paris (ex-Ladurée), has created a typically caramel flavoured log for 2017. 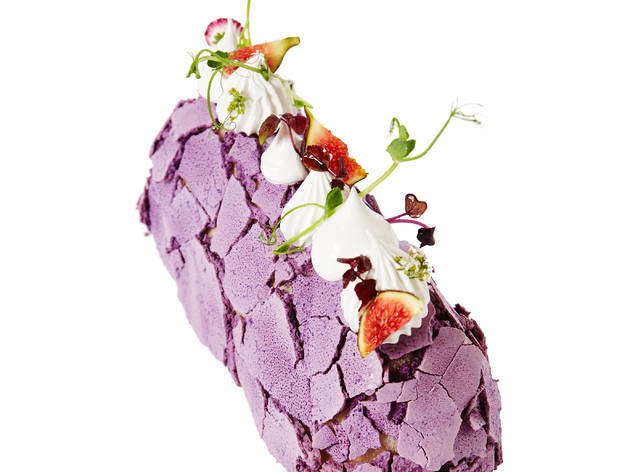 Light but rich, the leafy cream and meringue exterior hides a biscuit based made with chestnut flour. Sublime. How much? €60, for 6 people. Available from December 6 2017, in store. 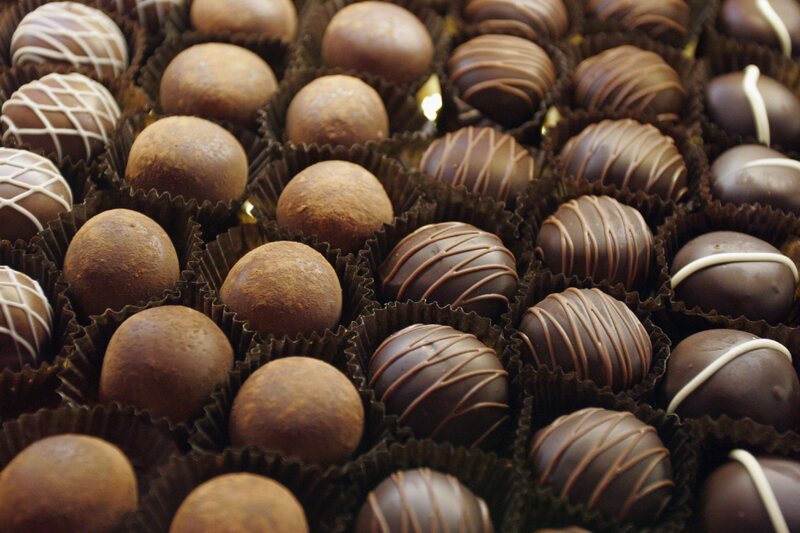 Prince de Galles (we're big fans of their afternoon tea) bring us the majestic Tahitensis for the holiday season. Intense Tahitian vanilla and rich chocolate make for a Christmas log with elegance. How much? €95, for 6-8 people. Available from December 31 2017, from Les Heures bar. 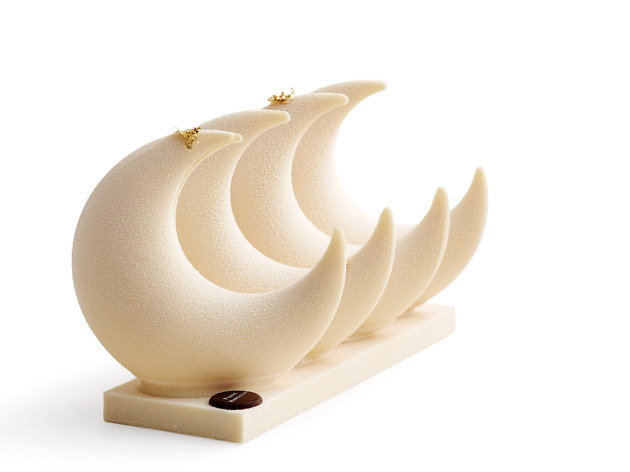 Chocolatière extraordinaire Pierre Marcolini has concocted a starry Christmas log, with this range of crescent moons. Available individually or as a set of four, the Claire de Lune comes in two varities. The white chocolate is filled with a light mousse and a fresh centre of mango, pineapple and yuzu; while the milk chocolate version comes with fresh vanilla cream, chocolate and almond biscuit centre. Each as heavenly as they look. How much? €12 for 2 people. €45 for 8 people. Entire Christmas collection available to order instore and online from November 9. 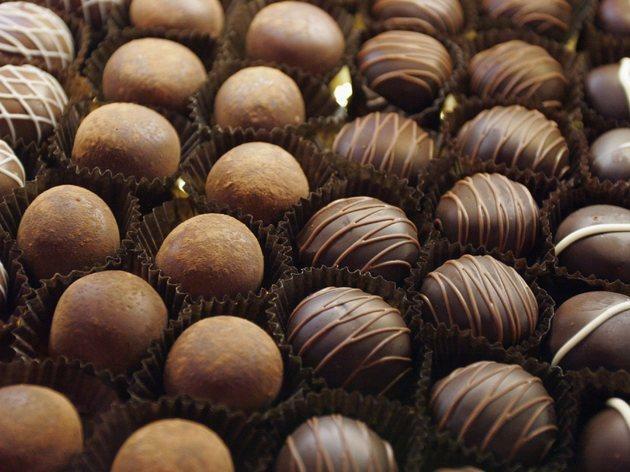 Velvety ganache, molten 'chocolat chaud' and light, airy truffles abound in our pick of Paris's top chocolate shops. 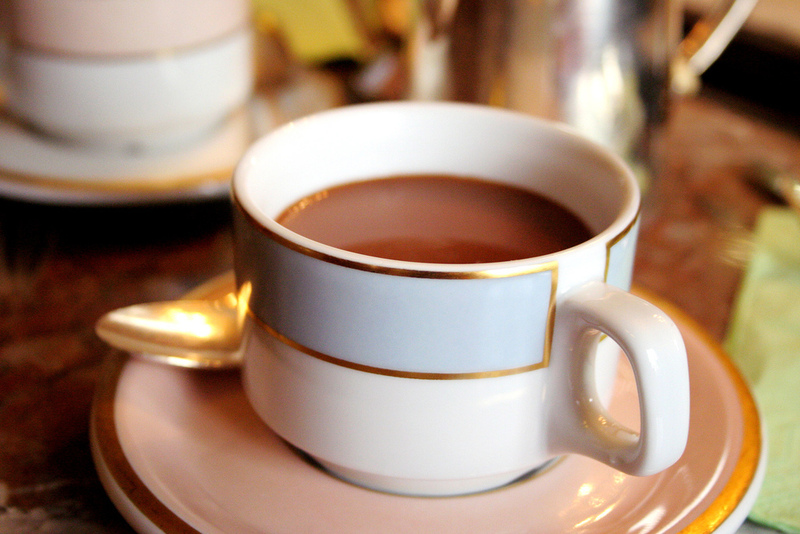 In Paris, hot chocolate is a force to be reckoned with, rather than a drink solely for the little ones. 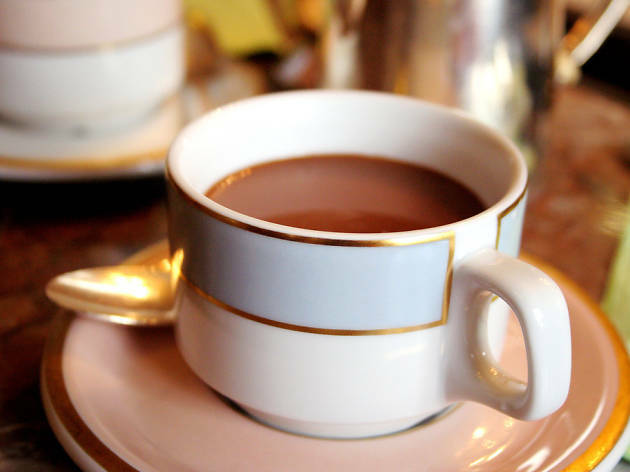 Banish all memories of milky bedtime cocoa and browse our selection of the finest chocolat chaud; each one is seriously rich, complex and pure bliss when accompanied by one of the city's best croissants.